API 756: There’s compliance. And then there’s compliance with 360-degree service. We’re all working to create a safer work environment for our industrial friends, family, and colleagues. Hence, API 756. Across the country, compliance with the recently published standard is increasing by the month. We get calls every day. However, these calls just aren’t about how to comply with API 756, but what is the best way to comply with API 756 and all of the related challenges that it presents. Meeting all of the specifications of API 756 is just the beginning. That’s where service comes in. Quality products and special levels of service never seem to matter until you have a problem. Below is a helpful list of questions we recommend you ask before buying or renting a blast-resistant shelter to make sure you can comply hassle-free from Day 1 of implementation…and every other day. What is the setup and takedown time? We just assume “get it up, get it done right, get it done the fastest.” We recommend teams of 4-10 trained specialists to complete installation and dismantlement, especially when servicing customers with short timelines or installing the largest shelters. Also, having the flexibility to have our experienced supervision work with both nested site contractors, or come prepared to perform a turnkey installation, is definitely a bonus; our teams can work either way. Is at least one technical supervisor on-site during setup, on my schedule? You would think this is a given, but it’s not. Some shelter vendors don’t always send a specialist with the right on-site technical expertise and experience out to the field. Not at Turnaround Logistics. Proper blast shelter setup could mean the difference between additional costs for the customer or compromising safety. 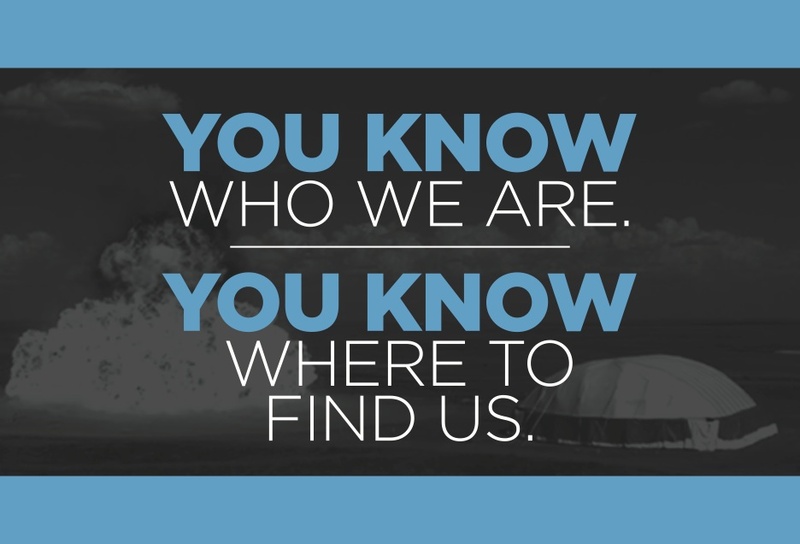 You can count on at least one technical supervisor on-site when we set up a blast-resistant shelter or module, or an entire installation crew; you make the call. Is there a service that can manage the storage of my blast-resistant shelter and protect my investment? Blast-resistant shelters are just one of the many product investments our customers are handling. When not in use, the cleaning and storage of a blast-resistant shelter makes the difference in the longevity of the product. Our specialized team is readily available to provide services such as removing blast-shelters off-site and adequately cleaning, boxing, and storing the shelter for the customer until it is needed on the next project. This service “closes the loop” between purchase, setup, takedown, and storage; a true turnkey approach. What are the regular maintenance requirements? Just like a car, blast-resistant shelters require routine maintenance. We have heard a lot of stories about what happens when a shelter is neglected and not maintained in a timely manner: water damage, mildew or mold, insects, animals, and misaligned doors are commonplace. The best way to keep your blast-resistant shelter in tip top shape is to enforce a timely routine inspection. Since we are specialists, customers appreciate removing this from their plate and putting it on ours. Our routine inspection includes observing operating equipment, column air pressure, door alignments, the condition of the indoor and outdoor flys, and more. We recommend your inspection includes these items, routinely and frequently. Are complementary products available as a turn-key solution? You’ve got your blast-resistant shelter. Now you need everything else that goes with effective and efficient man-power accommodations. Yes, you can get that all in one place – from a specialist. We provide logistics products inside and outside of the shelter, including tables, chairs, refrigerators, microwaves, utility vehicles, turnstiles and more. Have more questions? We’re here to help. This is what we do; we’ll be happy to talk with you. Please contact us. API 756: Do you comply? API 756 provides guidance for these risks for use at refineries, chemical and petrochemical operations, natural gas liquids extraction plants, natural gas liquefaction plants, and other onshore facilities. The goal – mitigate hazards for tent occupants near process areas. Blast Resistant: Certified to withstand exposure to explosion-induced waves with pressure exceeding 5 psi and durations over 200ms. Ballistic resistant when tested with 81mm, 104mm, and 155mm shells. Heat Flux Resistant: Unique fabrics and features mitigate risk to workers from situations of flash fire caused by accidental hydrocarbon combustion. Superior Portability: Utilize minimal space with a two to three hour inflation time for large structures. Multiple Configuration Options: Various amenity and deployment options for modular, expandable, multi-unit complexes and may include electrical, lights, HVAC, air filtration systems, and flooring. Extreme Climate-Ready: Can withstand regulated snow load, wind forces minimum of 130 Km/hour (80 mph), and category 3 hurricane. Capable of withstanding extreme temperatures ranging from a staggering 45ºF to 158ºF (7ºC – 70ºC). Every facility’s needs are different. Contact us at (281) 478-4670 or sales@turnaroundlogisticsinc.com to discuss the best Dynamic Air Shelter solution for you. [i] “API756 Blast 2015 Dynamic 264.” Dynamic Air Shelters YouTube Channel. Dynamic Air Shelters, 15 June 2015. Web. 31 Aug. 2015. Just look for the blue booth (#428) with all of the people standing around – that’ll be us. We’re looking forward to catching up with all of our colleagues, customers, and industry buddies. 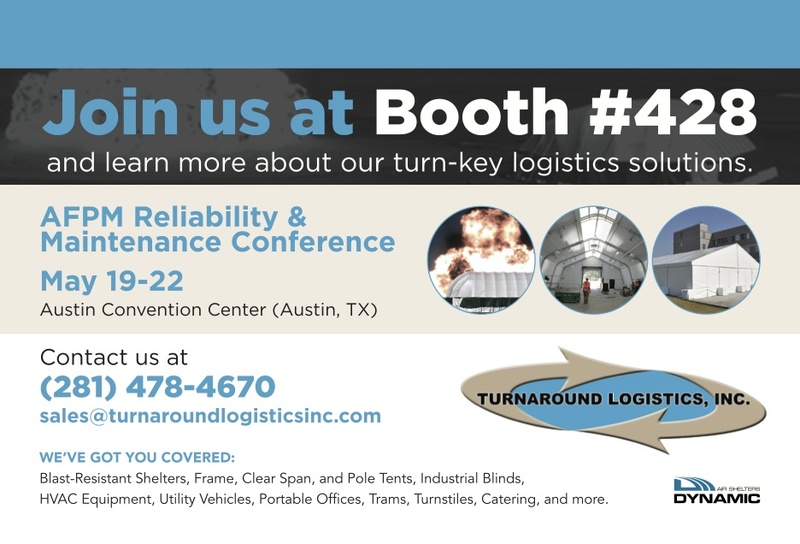 Please stop by so we can talk shop and learn more about how we can service your personnel logistics needs and get you into a brand new blast-resistant shelter. The API Process Safety Committee approved “Management of Hazards Associated with Location of Process Plant Tents” in September. This recommended practice (RP 756) had been anticipated by the industry beginning in 2013. The report provides guidance for managing risk from explosions, fires and toxic material releases to on-site personnel located in tents. The API committee’s report evaluates recommended practices concerning five different types of tents utilized, including air-inflated structures. Tents included in the tent siting evaluation study are intended for occupancy and may be used for breaks or meals, weather shelters, change houses, orientation, training, meetings, tool stations, offices, laboratories or equipment assembly, just to name a few. API 756 suggests tents for these uses and others will be required to meet the owner/ operator’s tent siting evaluation criteria, and mitigate consequences or risk where required. Air-inflated structures, or Dynamic Air Shelters (DAS), are considered to be the solution to minimize these risks and comply with API’s newly recommended practices. Many industrial plants began purchasing DAS ahead of the approved practices to avoid the rush. 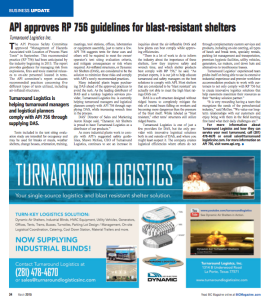 As the leading distributor of DAS and a turnkey logistics services provider, Turnaround Logistics is currently helping turnaround managers and logistical planners comply with API 756 through supplying DAS, while increasing wrench time in the process. 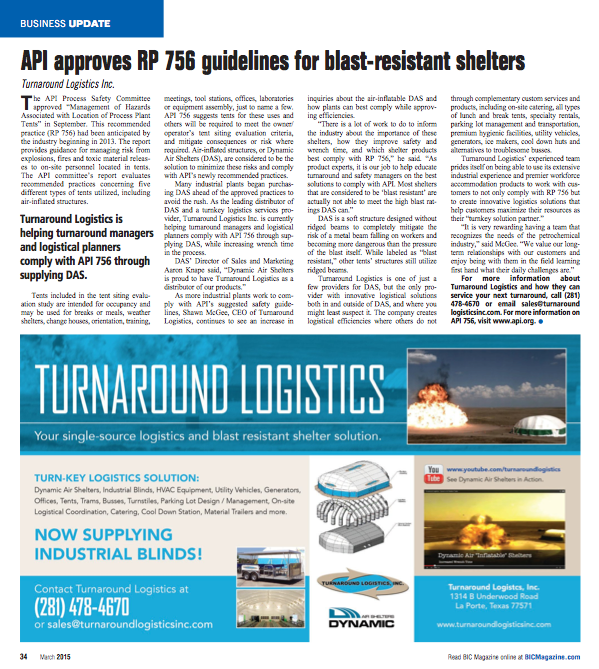 As more industrial plants work to comply with API’s suggested safety guidelines, Shawn McGee, CEO of Turnaround Logistics, continues to see an increase in inquiries about the air-inflatable DAS and how plants can best comply while approving efficiencies. DAS is a soft structure designed without ridged beams to completely mitigate the risk of a metal beam falling on workers and becoming more dangerous than the pressure of the blast itself. While labeled as “blast resistant,” other tents’ structures still utilize ridged beams. Turnaround Logistics is one of just a few providers for DAS, but the only provider with innovative logistical solutions both in and outside of DAS, and where you might least suspect it. The company creates logistical efficiencies where others do not through complementary custom services and products, including on-site catering, all types of lunch and break tents, specialty rentals, parking lot management and transportation, premium hygienic facilities, utility vehicles, generators, ice makers, cool down huts and alternatives to troublesome busses. For more information about Turnaround Logistics and how they can service your next turnaround, call (281) 478-4670 or email sales@turnaround logisticsinc.com. We're ready to provide a turn-key solution that meets your budget and timeline. Tell us all about it by filling out our contact form. Or, if you're like us and prefer actually talking to a human, give us a call today at (281) 478-4670. Our TARLogistics-branded accounts offer an everyday seat at our water cooler and coffee maker station, where we chat about everything from industry goings-on to football, good microbrews…and sometimes our trucks and Jeeps. We’d love to connect with you, too! For information regarding our sister company, click here to visit Critical2Way and see what they can offer you with radio communications.